GENOA, Italy, Apr. 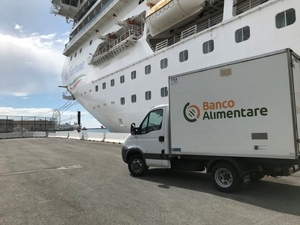 12 /CSRwire/ - The collaboration project between Costa Cruises and the Fondazione Banco Alimentare Onlus food bank to recover and reuse surplus food produced on board cruise ships for social purposes continues. Costa Fortuna, calling today at Genoa, has officially become part of the Costa ships' food donation programme.